Niger is a landlocked, Sub-Saharan nation, whose economy centers on subsistence crops, livestock, and some of the world's largest uranium deposits. Niger also has sizable reserves of oil, and oil production, refining, and exports are expected to grow significantly between 2011 and 2016. Drought, desertification, and strong population growth have undercut the economy. 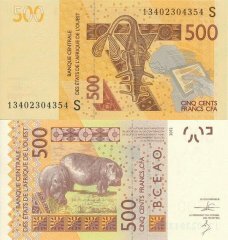 Niger shares a common currency, the CFA franc, and a common central bank, the Central Bank of West African States (BCEAO), with seven other members of the West African Monetary Union. In December 2000, Niger qualified for enhanced debt relief under the International Monetary Fund program for Highly Indebted Poor Countries (HIPC) and concluded an agreement with the Fund on a Poverty Reduction and Growth Facility (PRGF). Debt relief provided under the enhanced HIPC initiative significantly reduces Niger's annual debt service obligations, freeing funds for expenditures on basic health care, primary education, HIV/AIDS prevention, rural infrastructure, and other programs geared at poverty reduction. 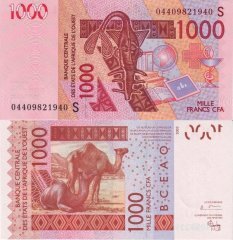 In December 2005, Niger received 100% multilateral debt relief from the IMF, which translates into the forgiveness of approximately US $86 million in debts to the IMF, excluding the remaining assistance under HIPC. In 2010, the Niger economy was recovering from the effects of a 2009 drought that reduced grain and cowpea production and decimated livestock herds. The economy was also hurt when the international community cut off non-humanitarian aid in response to TANDJA's moves to extend his term as president. Nearly half of the government's budget is derived from foreign donor resources. Future growth may be sustained by exploitation of oil, gold, coal, and other mineral resources.